Werner Federico Ahlers is a partner in the Firm’s Mergers & Acquisitions, Capital Markets, Finance and Restructuring and Project Development and Finance Groups. 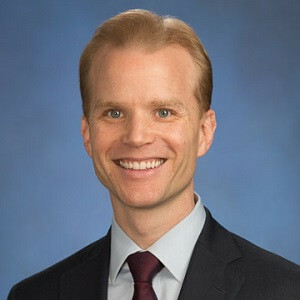 His practice includes a wide range of cross-border mergers and acquisitions and joint ventures, as well as various corporate, project and asset-backed financings. He has particular experience advising strategic and financial investors in investments in countries across Latin America in the energy, natural resources and infrastructure sectors, as well as in highly regulated industries, including telecommunications, healthcare and financial services. 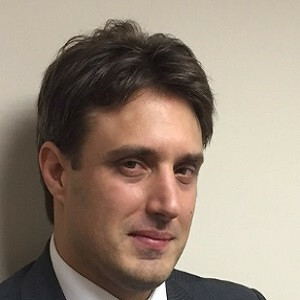 In his position as Project Finance LATAM Director in BTG Pactual, Franco Albertini has participated in the origination and structuring of project finance transactions in the bank and capital markets including infrastructure, conventional and renewable energy projects in Chile, Peru, Colombia, Mexico, Brazil and Panama. Albertini has participated in the financing of innovative project finance transactions in LATAM, such as the financing of the Planta de Reserva Fria de Generacion de Eten, a 230MW power plant in Peru through a bond issuance with a partial credit guarantee from CAF; the financing of Cerro Dominador 210MW solar complex in Chile through a syndicated mini perm loan; and several bridge loan transactions arranged by BTG Pactual, including the Fenix Power 561MW combined cycle power plant in Peru; the 68km Autopista Periferico de Monterrey toll road in Mexico; and the 197km Puerta de Hierro – Palmar de Varela 4G toll road in Colombia. 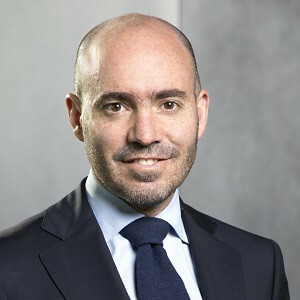 In 2000 Miguel Angel Alonso started his career in the company ACCIONA, as Project Manager in the Engineering and Construction department with the purpose of expanding the company in the field of Renewable Energies at an international level in countries such as Spain, Germany, Italy, Ireland, Canada and Mexico. During the year of 2006, Miguel Angel Alonso Rubio arrives in Mexico along with the company ACCIONA, with the position of Technical Director leading the implementation of ACCIONA ENERGIA in MEXICO. In 2008, he assumed the responsibility of the General Management of Acciona Energía México, which is one of the models to follow in the field of Renewable Energy, providing Sustainability and Social Commitment in Mexico. Juan Angoitia joined Ardian in 2013. Previously, he worked five years at Citi Infrastructure Investors (CII) as Investment Principal based in London. Prior to CII, Juan Angoitia spent 10 years at Grupo Ferrovial, S.A. He began his career at Cintra as part of its toll roads management team in Chile. He has 20 years’ experience within the infrastructure industry. Enrique Bernales is the Head of M&A for ItauBBA. Bernales has over 15 years of experience, having spent most of his career in the Energy, Infrastructure and Natural Resources space focused in Latin America. Bernales has advised numerous clients on transactions for over USD 50bn in aggregate. Bernales joined Itaú BBA in 2015, previously spending over 10 years at Credit Suisse Investment Bank in New York and London. Tobey Collins is Managing Director of Structured Finance | Energy. In nearly 20 years in the power sector, Collins’ transactional experience has spanned both the financing and sponsor sides of the negotiating table. She has worked in conventional and renewable energy as well as power distribution and transmission, both in the U.S. and across the Latin American region. Prior to joining Astris in 2013, Collins spent ten years leading transactional finance teams as a sponsor/owner of electricity assets. As Chief Financial Officer at AES Gener, Chile’s second largest generator with over 4,000 MW of installed capacity, Collins led debt and equity capital raising activities of approximately USD 2bn to support an aggressive expansion plan. As Managing Director of Restructuring at the AES Corporation, Collins worked out and refinanced close to USD 3bn of troubled debt at AES assets principally in Brazil as well as the Dominican Republic and Colombia. Collins has also held senior finance roles at Lanco Solar in the US photovoltaic sector and Verdeo Group in the carbon trading space. Before switching to the sponsor side, Collins worked as a project finance banker and advisor. She worked for the Private Sector Department of the Inter-American Development Bank as an Investment Officer. Collins had previously worked in ABN AMRO Bank’s Project Finance team based in Caracas, Venezuela and in Sao Paulo, Brazil. 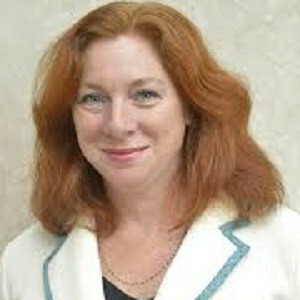 Collins began her international project finance career at the Overseas Private Investment Corporation (OPIC). 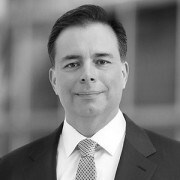 Gabriel del Valle is a partner at Ritch Mueller. del Valle specializes in project finance, structured finance and capital markets, representing domestic and international financial institutions and borrowers in a variety of domestic and cross-border transactions. 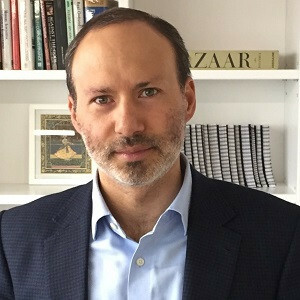 Within such transactions, he has worked in a variety of financings, debt and equity private and public offerings (including structured equity products, such as CKDs, CERPIs, Fibra-E and capital notes), as well as in structuring and implementing a variety of infrastructure projects, such as PPPs, toll roads, water treatment plants and other infrastructure and energy projects. Del Valle worked in one of the first issuances of CKDs in the market, which involved developing and actively negotiating the applicable CKD regulations. del Valle also developed the structure that was first used to implement capital calls through a punitive dilution mechanism, which became the structure that all CKDs and CERPIs follow to date. del Valle also participated in the creation of an optional series of CKD and CERPI certificates that allow an optional co-investment mechanism by existing investors, and played a significant role in developing regulation for Fibra-E.
Jonathan Duguay-Arbesfeld holds the title of Director, Investments within the Specialty Finance, Fixed Income team at the Caisse de dépôt et placement du Québec (“CDPQ”). As part of his mandate, Jonathan originates and structures investment opportunities that often fall outside the scope of traditional financing. 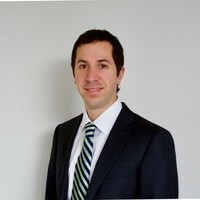 Prior to joining CDPQ, Jonathan spent 11 years at a Canadian fixed income investment dealer where he led the firm’s participation in numerous financings and its entry into the project finance realm. He authored a monthly project finance newsletter that reached equity partners, government sponsors, financial advisors and bond investors in more than 150 firms. 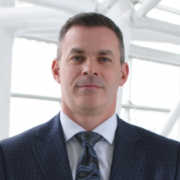 Brendan Duval is the founder and Managing Partner of Glenfarne Group, LLC. Glenfarne is a developer, owner-operator and industrial manager of energy and infrastructure assets across the investment-grade Americas. Duval has more than 19 years of experience investing in infrastructure and real assets. 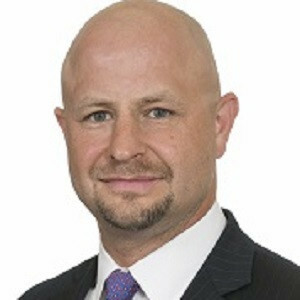 Before launching Glenfarne, he was a Senior Managing Director of Macquarie Capital in its New York office. Duval was a founding member of the US Management Committee and Co-Head of the Diversified Industries Group, having P&L responsibility for approximately 100 staff members across five office locations focused on infrastructure industrials. Duval was also CEO of a number of direct investment vehicles and built the US principal toll road investment business. 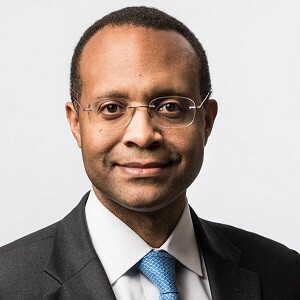 Duval's business-building experience commenced in 2000, when he was a founding member of Macquarie's US infrastructure merchant banking business (including principal and fund investing). Immediately prior to launching Glenfarne, he was tasked with building Macquarie Capital's Latin American initiatives. 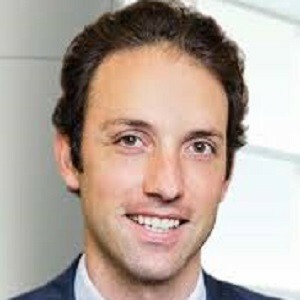 Andrés Ezequiel Onetto is the Head of Project Finance at Scotiabank Chile (Previously BBVA Chile). Before joining BBVA, Onetto lead the Power, Energy and Renewables Structured Finance practice at Banco de Chile-Citi. Previously he worked at Citigroup, originating and executing M&A and Project Finance transactions throughout Latin America. Since September 2018, Onetto is part of Scotiabank Chile’s Corporate & Investment Banking Division. Before becoming a banker, Andres practiced law in Argentina as an M&A and Project Finance lawyer for nine years. Onetto has published over 30 articles on legal and financial issues and is a correspondent for the Butterworths Journal of International Banking and Financial Law (UK). 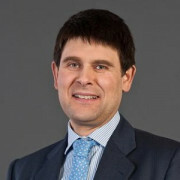 John Greenwood is co-head of Project, Infrastructure and Principal Finance. Greenwood oversees the firm’s origination, structuring, principaling and risk management activities for structured and project finance transactions across the infrastructure, power, energy and quasisovereign sectors, primarily in Latin America. 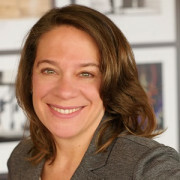 Greenwood serves on the Goldman Sachs Hispanic/Latino Recruiting Committee and the Investment Banking Division Summer Program Diversity Champions Council. 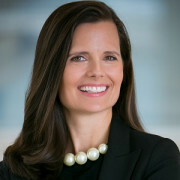 Greenwood joined Goldman Sachs in 2015 as a Managing Director. Prior to joining the firm, Greenwood led the LatAm Structured Debt Group in the Capital Markets Origination Division at Citigroup. Before that, he worked at Merrill Lynch. Greenwood serves on the Advisory Board for the Reves Center for International Studies at the College of William & Mary. Ignacio Inda is a structured & project finance professional with over 12 years of banking experience in London, Madrid, and New York. Ignacio advises clients on structuring and restructuring renewable energy, conventional power, water, and PPP/transportation infrastructure project financings. Inda joined Mizuho Americas’ Project Finance Group in 2014 to lead the bank's Power, Renewables & Infrastructure efforts in Latin America, and has also assumed increasing responsibilities for North America transactions. Following several years in the consulting and non-profit sectors, Inda began his emerging markets banking career at RBS/ABN Amro in London in 2006. 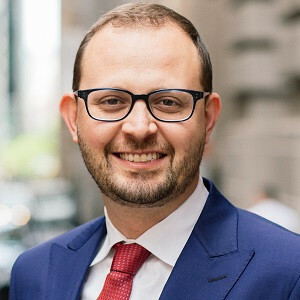 Inda joined BBVA’s Madrid headquarters in 2008 and was later transferred to BBVA’s New York office in 2011, where he was in charge of project financings & workouts for both Latin America and North America. 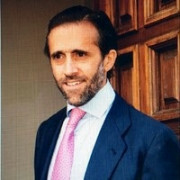 Juan José Cárdenas is a Senior Partner and Head of the Projects & Infrastructure of Rebaza, Alcázar & De Las Casas Abogados. 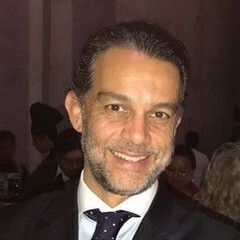 Cárdenas is a lawyer from the Pontificia Universidad Católica del Perú and has a Master in Banking and Financial Law from The London School of Economics and Political Science. 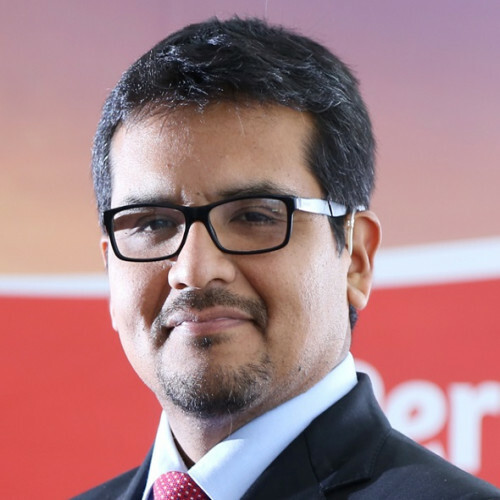 Cárdenas has also held the position of General Counsel at Lima Airport Partners, the concessionaire that manages Jorge Chavez International Lima Airport. 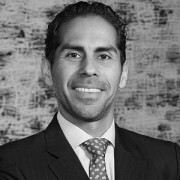 Along his professional career, Cárdenas José has significant experience advising domestic and international clients on infrastructure and PPP projects, including the structuring of the project, the tender process with the government or a private client as well as the negotiation of concession agreements and the financing of the project. Economist with over 15 years of experience in Investment Banking, Corporate Finance and Project Management, both in Peru and internationally. He has also occupied leading managerial positions with responsibilities over projects in several countries of the Latam and Caribbean Regions. Throughout his career, he has been involved in various corporate finance operations, mergers and acquisitions, and complex negotiations in various sectors and territories. From 2000 to 2006, he was an analyst in the local representation office of Investment Bank ING and Associate in Consulting A S.A.C. After completing his MBA, he held the position of Associate in the Consumer & Retail Group in the Investment Banking area of Deutsche Bank in London. Then, he became Regional Manager for Latin America for the Clinton Foundation's Health Access Initiative and worked directly with the Ministries of Health throughout Latin America. In 2001, he joined the Credicorp Group and participated actively in the creation of Credicorp Capital, Peru's first Regional Investment Bank, directing the purchase of leading Investment Banks in Colombia and Chile, and later becoming the first regional CFO of Credicorp Capital and finally Executive Director of Corporate Development, where he participated in the creation of the Credicorp / Sura Company for the development of investment funds in infrastructure in Peru and Colombia. In 2016 he joins the ranks of the BCP as Manager of Special Projects for the area of Collection Retail Banking until 2017 when he joins PROINVERSIÓN. 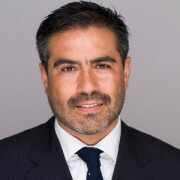 Arturo Olvera is the founding partner of MTH Capital, an investment-banking boutique based in Mexico City specializing in infrastructure, energy and tourism projects. Olvera has more than 20 years of relevant experience in the infrastructure and energy industries in México. For 8 years, he was Managing Director for Project Finance at Banobras, the National Development Bank for Infrastructure in Mexico. Olvera was also Director at The Carlyle Group for their Mexico buyout fund. For more than 5 years, he served as CEO of Hermes Infrastructura, a Mexican infrastructure private developer. Olvera has significant experience from the banking, government, advisor and developer side of infrastructure and energy projects. 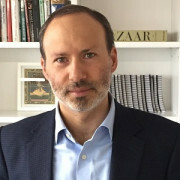 Olvera is an economist from ITAM in Mexico City and holds an MBA from Anderson Graduate School of Management at UCLA. Hadley Peer Marshall is a Managing Director in Brookfield’s Infrastructure Group. In this role, Peer Marshall oversees the origination, execution and asset management of the Firm's infrastructure credit investments in the Americas. Prior to joining Brookfield in 2015, Peer Marshall was Co-Head of the project finance and infrastructure group at Goldman Sachs, where she was responsible for originating, structuring, executing and advising on infrastructure and project financings for clients. Jaime E. Ramirez is a partner in the New York office of Milbank and a member of the firm’s Project, Energy and Infrastructure Finance Group. Ramirez focuses on representing parties in the acquisition, development and financing of large scale natural resource and infrastructure projects. Ramirez’s experience also includes the representation of investment banks and borrowers in cross-border corporate finance transactions, particularly in Latin America. Gilbert Salvi is the Senior Executive Vice President of PowerChina International Americas, responsible for the strategy and business development of PowerChina in Mexico, the Caribbean’s and Latin America region. Gilbert has over 35 years’ experience in the infrastructure, civil works and energy sector involved in the construction of complex turnkey projects using diverse financing structures. 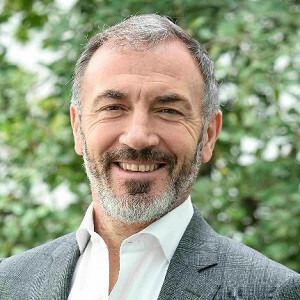 He has been prior to joining PowerChina Group in 2013, the head of the international division for French Bouygues Construction Group in North America. 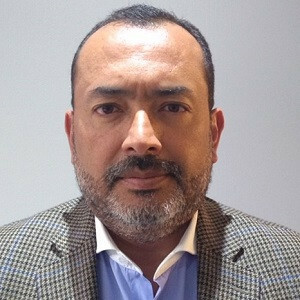 He has specialized in leading international consortiums to go into P3 type Projects, structuring proposals and financing in major mega infrastructures projects over USD $500m with successful bids and awards in Mexico and several Latam countries. 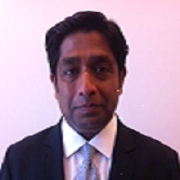 Partho Sanyal, Managing Director in Bank of America Merrill Lynch's Latin America Investment Banking Group, has approximately 19 years of investment and merchant banking experience at Bank of America Merrill Lynch and the International Finance Corporation (IFC) and has worked in over 25 countries. He joined the Firm in 2001 and has spent much of his time covering the broader infrastructure sector -- including power generation and distribution, water and wastewater, electric transmission, renewable energy and waste and environmental services. Since 2013, Partho assumed responsibility for covering the Utilities and Industrials sectors in Latin America. 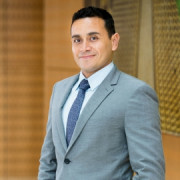 Hector Ulloa is a Managing Partner and President of Structure Banca de Inversion, where he has developed his practice of Project Finance for the last twelve years. 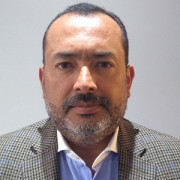 Ulloa's recent activities include the financial structuring of the First Line of Metro de Bogota USD 4.5bn; the financing of several 4G Toll Road Projects in Colombia USD 2.5bn; financing power generations plants USD 200m and Transmission Lines USD 160m; structuring the concession agreement for 8 airports in Colombia. Ulloa is also advising on the financial structuring and financing for the first line of the light train of the City of Barranquilla. His practice also includes M&A operations of infrastructure assets, such as Toll Road Concession Agreements, Airport Concessions and Power Generation companies. 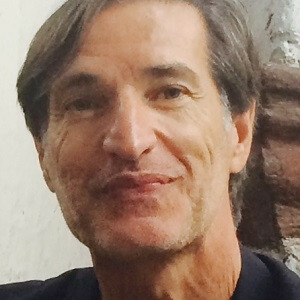 Hector has been a professor of Project Finance and International Markets in several universities in Colombia and is the author of “Sources of Funds in the International Capital Markets”. Carlos Viana heads the Latin America Interest Group at White & Case. Market-leading project sponsors and developers, as well as financial institutions and equity and debt fund investors, look to Carlos for advice on the development and financing of major infrastructure, natural-resource, industrial and energy projects and portfolios across Latin America. 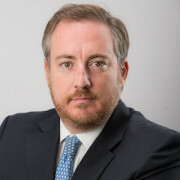 He has recently played a leading role in a number of landmark mandates in Latin America, including: the SIC-SING interconnection project and the Huatacondo, Laberinto and San Juan renewable energy projects in Chile; the Longitudinal de La Sierra road project and the Matarani port expansion in Peru; the ongoing acquisition, development and equity and debt financings of various thermal and renewable energy projects in Mexico; the ongoing first international PPP financing in Paraguay; the acquisitions and/or refinancings in the capital markets and loan markets of various renewable energy projects in Uruguay; the financing of six RenovAr projects in Argentina as well as supporting the bids for various projects by a major international consortium in Round 1 of the Argentina Roads PPP program; and the Pecasa and Agua Clara renewable energy projects in the Domincan Republic.